But first things first, why is customer experience all the rage among corporate leadership these days? According to a study by Harvard Business Review, brands that offer outstanding customer experience are more likely to experience higher revenue, improved customer loyalty, and reduced cost associated with customer service. The best way to create an outstanding CX that meets your customers' expectations is by understanding your customers' preferences and behaviors so you can deliver a seamless purchasing experience. By capturing and analyzing customer data, you'll be able to gather marketing intelligence and generate valuable insights to create an exciting and memorable CX. Where can your sales, marketing, and IT team get the relevant customer data? How can you use the data to design an experience that excites your customers and turn them into brand evangelists? Getting the right information about your customers is the first step to generating accurate insights for designing an excellent customer experience. Sales and marketing data: your sales and marketing teams are constantly interacting with your customers. They can offer valuable insights into customer preferences and market demand. You can also analyze user testimonials, social network mentions, purchasing history, customer interactions, as well as polls and surveys, to understand your customers' psychologies and behaviors so you can design the most effective CX. Website analytics: how prospects and customers interact with your website can help you map out the customer journey, analyze user flow, and find out where your CX may cause customers to leave your website or abandon a transaction. Customer Relationship Management (CRM) platform: data from your CRM system shows you how prospects and customers interact with your brand and where the customer experience excels or falls short. 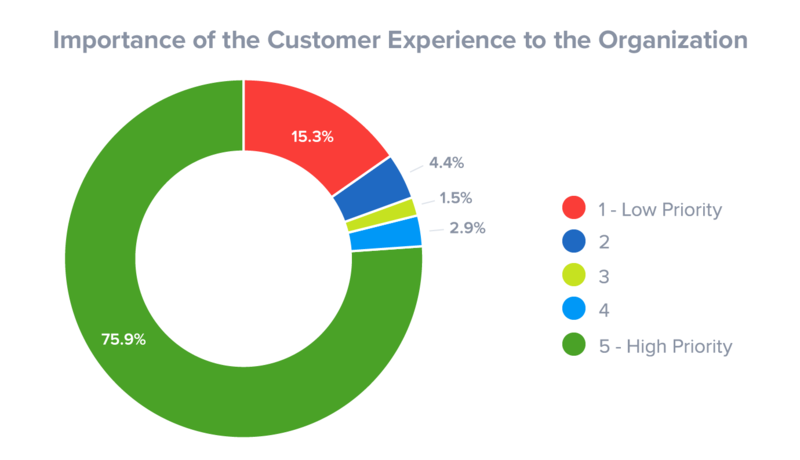 You can also analyze how customers respond to your sales and marketing materials so you can improve the CX along the customer journey to accelerate conversion. Increase customer lifetime value (CLV): analyze customer purchase data to identify upsell, cross-sell, and bundle opportunities so you can increase CLV and average order value (AOV) while adding value to the customer interactions. In addition, you can use the information to design educational materials that will help increase engagement and loyalty. Improve website conversion rates: use website analytics to see how visitors are interacting with your website and identify UX issues that may be impacting your conversion rates (e.g., a poor checkout experience can increase cart abandonment rate; pages with high bounce rate often indicate a UX issue.) By improving website user experience and streamlining the buying journey, you can deliver a relevant and helpful customer experience that increases conversion. Boost sales with personalized marketing: deliver personalized marketing communications (e.g., smart content, personalized product recommendation, targeted promotions) through multiple customer touch points, such as email, website, social media, live chat, phone, and mobile app, to create a seamless omnichannel customer experience and facilitate the purchasing journey. Respond to market sentiment and improve brand image: use data such as the Net Promoter Score (which shows how likely customers are going to recommend your business to others) to gauge how customers and the market perceive your brand, which is often a good indicator of the your customer experience. Data can help you design an exciting customer experience, which is essential for business success in today's competitive and customer-centric environment. But data is only as good as how you use it. Having a proper analytics system and the ability to generate insights for improving your sales and marketing process so you can augment the customer engagement experience is the key to long-term and sustainable profits.